Since tomorrow is Valentine's Day, I wanted to give you this recipe to use either for your date or with your roses after the petals have dried. My husband gets me roses for Valentine's Day, and I hate to just throw them away after I've enjoyed them. With this easy rose bath salts recipe, I can reuse them and enjoy them for several more months. I used pink Himalayan salt in this recipe because it's naturally pink. 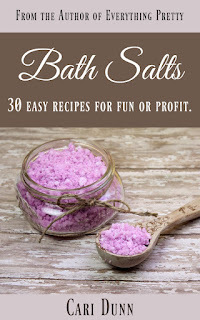 You could use a clear salt and use pink food coloring to dye it as well. I also used rose oil instead of rose essential oil. Rose oil is more expensive, but you can easily make your own rose oil. Rose oil has many benefits for your skin, so I prefer to use it over the essential oil. This easy recipe takes just a few minutes to make. 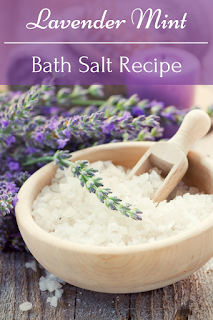 I like to store it in a glass jar and put in the bathroom because it looks so pretty on the shelf with the pink salt. When your roses start to fade, take the petals off of four flowers and lay them flat to dry. They need to be completely dry so the recipe doesn't get mold. Break apart the rose petals with your fingers to make small pieces, or you can also use a food processor and pulse them. You want them in small pieces but not a powder. 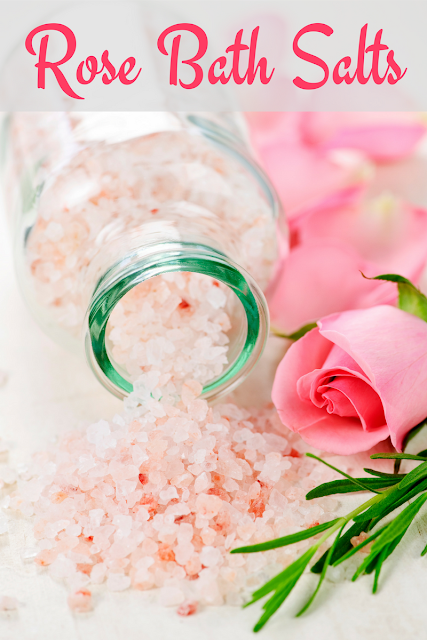 Add the rose oil to the pink Himalayan salt and stir well. Add the rose petals to the salt and oil mixture and stir. 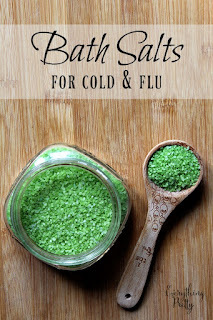 Pour in to a glass container and store until ready to use. 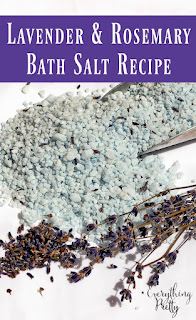 To use, add up to 1/4 cup rose bath salts per bath. Let the rose oil moisturize your skin and the wonderful smell entice your senses!